Russell Simmons is developing a hip-hop musical that will draw songs from hip-hop’s “golden age” from between the mid-1980s and the mid-1990s, in the same way that “Rock of Ages” pulled tunes from the hard-rock classics of the ’80s. Simmons and Big Block hope to get “The Scenario” into New York in late 2016, although they aren’t necessarily targeting Broadway. “Rock of Ages,” for instance, played an Off Broadway run before it shifted to Broadway; the producers could also consider putting the production in a nontraditional space outside the typical Broadway box. “The Scenario” is being developed by a team of producers that includes Simmons, Def Pictures/Jake Stein, Big Block/Prisand, Scott Benson, Tom Pellegrini and Jamie Bendell, Brian Sher and Stella Bulichnikov. Six-time Tony Award winner Audra McDonald will return to Broadway in spring 2016 in a new collaboration with Tony-winning director George C. Wolfe and Tony-winning choreographer Savion Glover. The collaboration is called Shuffle Along, or, The Making of the Musical Sensation of 1921 and All That Follows. The production begins previews March 14, 2016, at the Music Box Theatre, with opening night set for April 21. McDonald will play Lottie Gee, the 1920s performer who appeared in the cast of Shuffle Along. This 1921 musical by Flournoy Miller, Aubrey Lyles, Eubie Blake, and Noble Sissle altered the face of Broadway in giving several black performers their first Broadway credits. The show helped launch the careers of Josephine Baker, Florence Mills, and Paul Robeson, among many others. Ninety-five years later, this backstage musical will explore the creation of this now-forgotten show. Wolfe directs and pens the book, while Glover choreographs. It marks their first collaboration since their 1996 hit Bring in ‘Da Noise, Bring in ‘Da Funk. The production will have music supervision, arrangements, and orchestrations by Daryl Waters, scenic design by Santo Loquasto, costume design by Ann Roth, and lighting design by Jules Fisher and Peggy Eisenhauer. Scott Rudin serves as producer. Additional information about the production will be revealed in the coming months. It was first a novel, then a film and now it’s headed to Broadway. 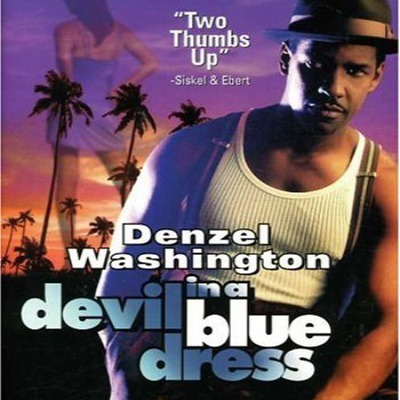 “Devil in a Blue Dress” will be getting the theater treatment. The popular film that starred Denzel Washington and Don Cheadle in 1995 — based on one of Walter Mosley‘s most popular works — is coming to the Great White Way. “Devil in a Blue Dress” is a noir novel and film about a man in 1948 Los Angeles who loses his aerospace manufacturing job and turns to private detective work. Mosley revealed the Broadway news when he was promoting his new book, “Debbie Doesn’t Do It Anymore.” He has partnered with Jazz musician and composer Branford Marsalis to bring the work to the stage. There’s no word on if Washington or Cheadle will reprise their roles from the film, but the production should begin within the next year. Tony Award nominee Norm Lewis will join Broadway’s Phantom of the Opera as the show’s first Black lead after 26 years. On Thursday, producers of the long-running show announced that the stage vet and Scandal actor would make his debut alongside Sierra Boggess on May 12. They noted that he will be the first African-American to play the role. “I love the show but also to have hopefully set a precedent to see more diversity in casting,” Lewis told The Associated Press. The thespian’s Broadway credits include Miss Saigon, Les Miserables, Chicago, Side Show, Sondheim on Sondheim, and The Gershwins’ Porgy and Bess (in which he received a Tony nomination), among others. To date, Phantom has played to more than 130 million people in 27 countries and grossed more than $5.6 billion worldwide.